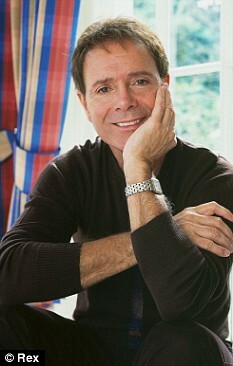 The shocked owner of a radio station whose website has been hijacked by Muslim extremists believes it was targeted because they played a song by Cliff Richard. Hackers removed the station’s home page and replaced it with haunting images and a message said to be on behalf of Ahmed Al-Qahtani - a suspect in the 9/11 attacks. Radio Basingstoke owner and DJ Astrid Haigh-Smith was horrified to find her website pictured a spooky pair of green eyes above a woman on an altar. The message, which was written in green on a black background, called on God to bless Muslim fighters, or Moujahidines, and warned the West not to insult Islam. But Ms Haigh-Smith, 53, says she will not allow the fanatics to intimidate her and insists she will not change the station’s playlist. The station, whose website had 140,000 hits last month, expressed their support for British troops over Christmas and played Cliff Richard’s version of Hallelujah. The ageing popstar is famous for being a Christian and the Leonard Cohen song was Christmas number one for X-Factor winner Alexandra Burke. Ms Haigh-Smith said: ‘When I realised what had happened, I was quite frightened and the hairs on the back of my neck stood up. ‘I couldn’t understand why we had been targeted. ‘I just thought maybe it was because we had commented that we hoped our troops would be safe over Christmas. ‘We’ve also played the Cliff Richard version of Hallelujah, but we would never dream of running down any religions. The site was compromised on Monday morning and again on Wednesday. The hijacker used the name ‘Soldier of Allah’ and ‘M03sl3m H4ck3rs’ - or Muslim Hackers written with numbers. The message warned: ‘Whoever thinks of insulting Islam or Muslims will suffer the same fate. The hackers claim they are defending Islam from harassment by America, Israel and Denmark. Ms Haigh-Smith who launched the online-station last year, runs the website from her home. It streams music online 24/7. Police told her not to make any changes to the website until they had collected printouts. Ms Haigh-Smith said: ‘The officer came round on Monday morning but was very tight-lipped. ‘He phoned Special Branch to read them the contents of the messages. ‘The only thing they would say was a few websites had been hacked into since the Israel attacks.’ Hampshire Police spokesman Peter Edney said: ‘We are investigating the matter but cannot comment on what lines of inquiry we are looking into.’ Computer security magazine SC Magazine reports that more than 10,000 websites worldwide have been hijacked by extremists since Israel attacked Gaza last week. It says a hacker named ‘Cold Z3ro’ runs an Arabic hacking school on the internet and is claiming responsibility for thousands of defacements. The defaced Radio Basingstoke pages have now been replaced.